The rising star in the European deodorants market is Russia, still a small player overall, but with the potential to shine in the relatively niche deodorant cream and sticks categories. In contrast, the more mature Western European markets are struggling for sales gains, reflecting the difficulties brands face in stimulating interest in such a functional category. Overall, Western European sales of deodorants reached nearly $4.6 billion in 2016, an increase of 1.6%, according to Euromonitor International. The UK and Germany topped the leaderboard with sales of $965.5 million and $946.9 million, respectively, but there was relatively unimpressive growth of 1.9% for the UK and 1.1% for Germany. Deodorant sales were more buoyant in Eastern Europe, increasing 5.1% to more than $1.2 billion last year. Russia continued its winning streak from the previous year, adding 9% in value sales to exceed $395 million. The aerosol/spray format is preferred by the majority of Europeans, especially the British, with 58% using spray compared to 26% preferring roll-ons and 6% sticks, according to Kantar Worldpanel. German consumers have similar preferences, while the Spanish are more inclined toward using roll-ons (37%). Body spray usage varies by European country, peaking among Polish consumers at 25%, but the format is shunned by the French and Italians, with just 12% claiming to use body sprays. None of the major research companies record sales of compressed aerosol formats, which was pioneered by Unilever and used across all of its deodorant brands. 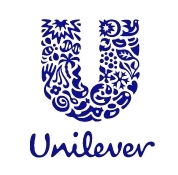 In order to encourage other manufacturers to adapt the technology, in 2016, Unilever published a White Paper for the competition, rather than patent its discovery. Compressed formats deliver the same amount of product to the consumer, but the smaller pack, which uses less metal, solvent and propellant, has measurable environmental benefits. 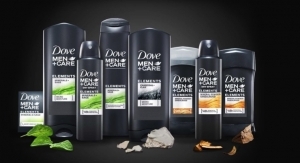 Eco-friendly deodorant cans are expected to become the go-to format for the industry, according to Jamie Mills, analyst, GlobalData. In a 2016 study, the researcher noted that over-packaging is a real concern for consumers looking for greener, more responsible personal care products. GlobalData showed that 51% of European deodorant shoppers say they avoid excessively packaged grocery products all or most of the time. “Given the significance of these trends, this puts compressed deodorants in a unique position to potentially become the industry standard for aerosol packaging in future,” stated Mills. Deodorant creams are a niche category popular with European consumers looking for natural/organic alternatives as well as packaging that is easier to recycle than aerosols. Mostly available from online shops, cream brands include Wolkenseifen and Waldfussel in Germany and Aurelia Botanical Cream to Powder Deodorant in the UK. Deodorant usage has long been associated with sport and fitness by targeting consumers looking to reduce perspiration and body odor. However, the reasons for using deodorant vary by country, according to Kantar Worldpanel, which records 53% of British and 53% of French consumers put a high priority on products that prevent perspiration, compared to 21% in Spain and just 9% in Italy. Spanish consumers are far more likely to use deodorant to feel clean (45%), although a similar percentage are influenced more by fragrance (43%). A pleasant fragrance is the most sought-after attribute cited by 57% of Italians and 56% of Polish consumers. Mills does not believe that consumer interest in fitness particularly benefits deodorant innovation, “as (deodorants) are inherently targeted towards occasions when consumers are most prone to sweating and body odor,” she maintains. However, deodorant brands continually seek to improve their efficacy credentials, such as longer-lasting formulations in order to meet the needs of active and hygiene-conscious consumers. One example is the French launch, L’Oréal Men Expert’s Invincible Anti-Perspirant stick, which claims 96-hours of non-stop protection. Another is Fa Anti-Perspirant Nutri Skincare and Protect from Hungary, that claims to protect during periods of stress and intense activity. Its non-stop fresh technology claims to provide 48-hour protection and the formula is enriched with skin care benefits including vitamin E and lipids. According to GlobalData’s 2016 research, natural is an important claim for European consumers with 57% saying they are interested in and already buying natural beauty/grooming products. There has been a whole host of deodorant launches with natural claims, bringing much needed interest and innovation to the category. Ben & Anna’s Natural Soda Deodorant Stick, launched in Denmark, claims to be free from aluminium, parabens, phthalate and gluten and is formulated with shea butter and soda. The brand does not use chemical stabilizers and therefore advises users to store the product at room temperature. UK launch Green People’s Quinoa and Prebiotics deodorant draws on the healthy eating trends and claims that the use of prebiotics in the formulation supports healthy bacteria and restricts odor-forming bacteria. Furthermore, the addition of zinc ricinoleate is said to act like a sponge to absorb odor molecules. Sage is an ingredient that is appearing in natural deodorant formulations, including Weleda’s pump action Sage Mint Deodorant. The product contains sage, rosemary and thyme essential oils, said to neutralize odor and to let the body breathe. Dr Hauschka Sage Deodorant comes in a roll-on format and contains sage and witch hazel essences which are said to be both naturally antimicrobial and astringent. The addition of mint provides a sensation of long-lasting freshness. Lush has moved the deodorant format into a new territory with The Greeench Deodorant powder which contains sage, thyme and tea tree to combat odor. Absorbant lycopodium powder is applied with the palm of the hands to keep pits dry. “Within such a functional category as deodorants, the challenge for natural brands is to convince consumers to experiment with natural formulations, particularly in the face of established multinational brands with proven efficacy credentials and which represent a significant portion of the marketplace,” observed Mills. According to GlobalData 2016 research, frequent experimentation among consumers in this space is relatively low with 34% of Europeans saying they often try new or different varieties of deodorants. So, fresh challenges from natural brands may well be what the category needs in order to stimulate growth.